While WordPress has a formatting button for basic "blockquotes", Largo provides more attractive custom styles for inserting pull quotes into posts. Aside, which pulls the content aside and wraps the other post content around it. This is similar to a pull quote but with undecorated text and is most commonly used for adding sidebars to a longer story. 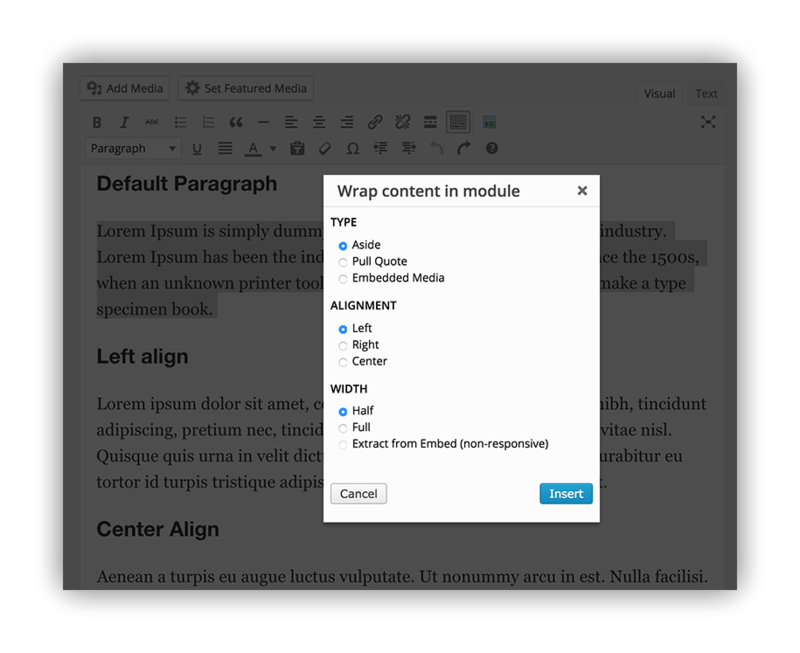 Use the Module Wrapper options to align your selection left, right, or center, and to display half-width or full-width. In the case of embedded media, you can choose to extract the width from the embed code itself but this will prevent it from resizing responsively.